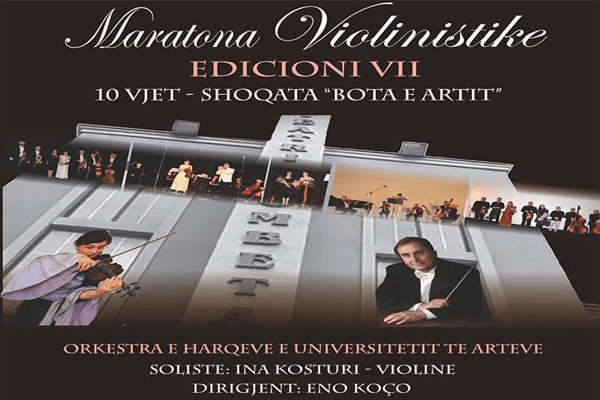 "Violin Marathon" in the its 7th edition 2018 will be on the National Theater scene on June 12, 2018, at 7 pm in the violin formation and band orchestra. With the participation of Arch Orchestra of the Arts University, Ina Kosturi solo violin, directed by the renowned conductor Eno Koço. The concert will bring 7 works of world composers from Vivaldi to Jenkins.